Korean flick “SORI: Voice from the Heart” clinched the top spot among homegrown movies, beating previously released war movie “A Melody to Remember” Saturday, according to data from Korean Film Council Sunday. The heart-wrenching film released Wednesday has drawn 298,456 moviegoers and grossed some 2.2 billion won ($1.8 million) as of Sunday. Actor Lee Sung-min acts a father Hae-kwan in the film whose only daughter Yoo-joo (Chae Soo-bin) is missing for 10 years. 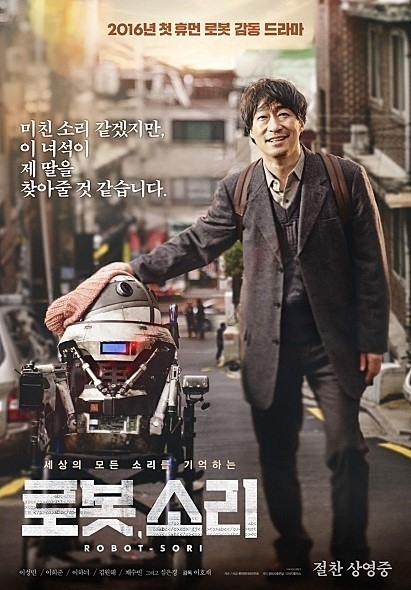 After a decade-long struggle, Hae-kwan finds the only clue to his daughter’s whereabouts: a robot named “Sori” that saved all the records of Yoo-joo’s phone calls until the last minute. With the only vestige of his daughter, he goes on another hopeful yet challenging quest. The cast of the movie, including the robot, is reportedly attending promotion events in Daegu and Busan, since the release.